Facebook gives you the opportunity to stay in contact with your friends, family members and colleagues you might not see for million years. Also Facebook is a powerful tool for promoting your business. Posting videos help both to separate your business from and to exchange the information. But here is a small complexity. Your videos don’t have an exclusive location. All they are stores with photos. And of course often there is a need to search for videos among other people’s accounts or just on the topic you are interested in. the ways of search of Person’s Videos on Desktop. 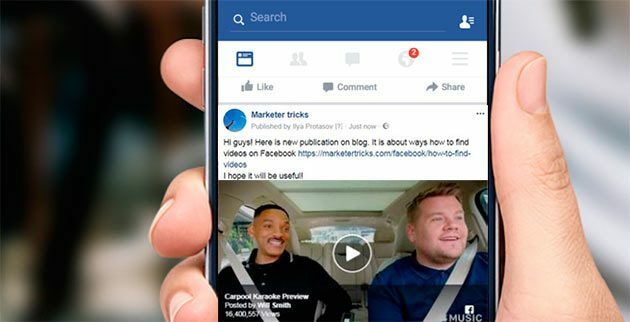 If you want to realize how to easy and quickly find any videos on Facebook you need to use the https://popsters.us tool. To get started, log in to your Facebook profile. 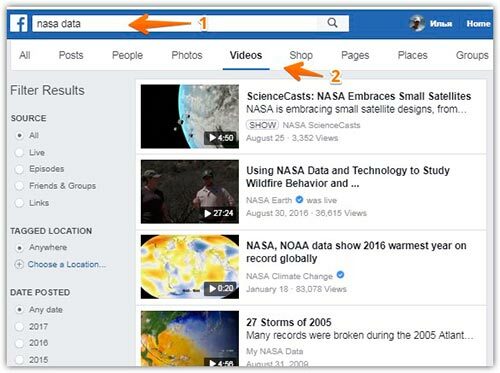 In the search line you need to add url of the group where you want to search for the videos, or its name and select it from the list (by clicking “Choose” button or + if you want to search on several Facebook groups at the same time). 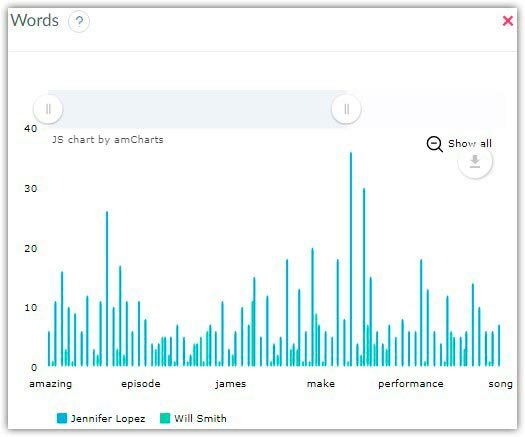 Next, you should select a period by clicking on the “Period” button, then click “Analyze”. Here you see the whole FEED. Now, clicking on the icon with Video filter, here will be shown only those posts which include Videos in the groups (or pages) you’ve selected. Clicking on the “Sorting” buttons (by likes, share, comments, ER) you will find out which videos in these groups are the most popular for the selected period. Also when click on sorting by Date, the video will be displayed by the publication date order (one more click on the same button again will show you the reverse order). Also you can click the “Lens” icon to enter any words or phrases to search for the posts (in this case posts only with videos) in which these phrases are present. If you need, you can sort the filtered videos again (by likes, share, comments, ER). Clicking on the capital letter T, you will analyze the text component in the publications which include videos. Two new graphics (Words) and (Words / ER) will appear on the left side at the top after you do this action. Now you can find out which words are used more often (Words). And also which phrases have the highest engagement rate among the posts you have choose before (Words / ER). Try to click on the desired schedule and you will see the result. Also you can click on any word in these graphs and thus filter out the displayed publications with videos that contain the word. And of course you can apply the main filters again (by likes, share, comments, ER). It is very convenient to use the https://popsters.us application for the enhanced video search on Facebook users’ accounts as well. To get started, log in to your Facebook profile. 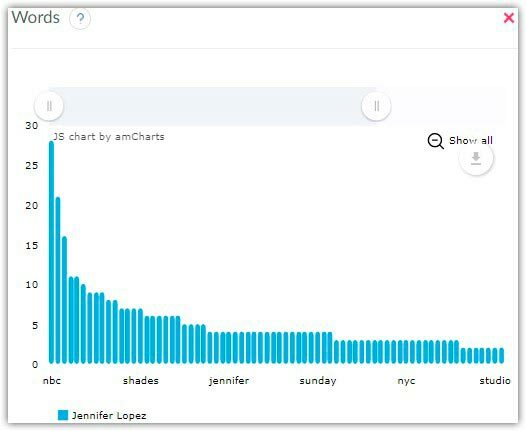 When I started to write this article, I couldn’t analyze my profile (there was some bug with it because of the privacy settings), so I’ll show you an analysis of public page of Jennifer Lopez. Here works the same principle. In the search bar you need to add the url of your own profile where you want to search for the video. Next, you have to select a period by clicking the “Period” button, and then click “Analyze”. From this moment when clicking on the “Video” filter icon the videos in the selected account will be shown only. 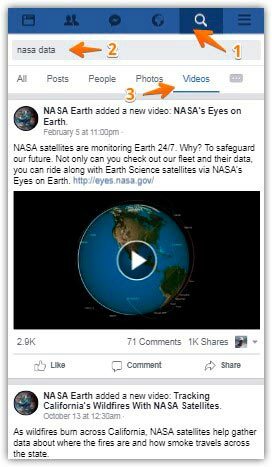 By clicking on the sorting buttons (by likes, share, comments, ER) you will find out which video in this account is the most popular for the selected period. 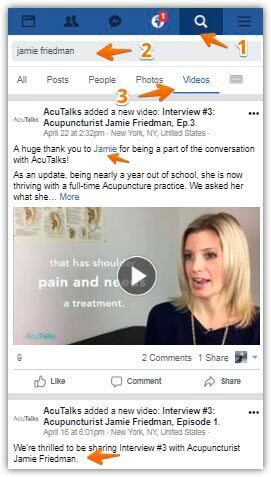 Also clicking on sorting by Date, all videos will be displayed by the publication date (by clicking on the same button again the posts will be placed in the reverse order). Now clicking on the “Lens” icon, you can enter words or phrases for filtering the publications (in this case only with videos) where these phrases exist. 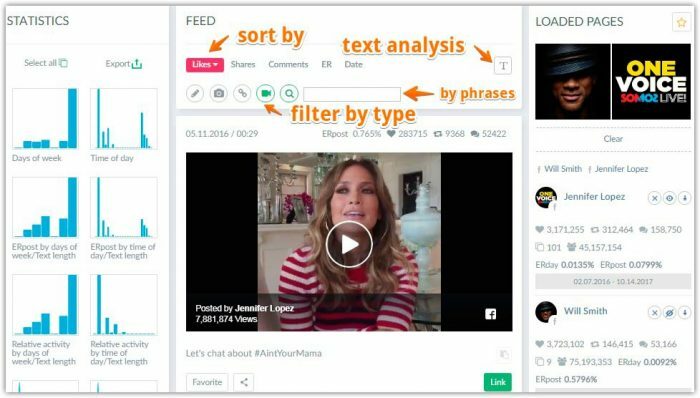 At will, you are able to select the sorting of the already filtered videos with the selected phrases by likes, share, comments or ER again. By clicking on the T-button you will analyze the text component in the publications which include the videos. On the left side above two newly generated graphics will appear: (Words) and (Words / ER). 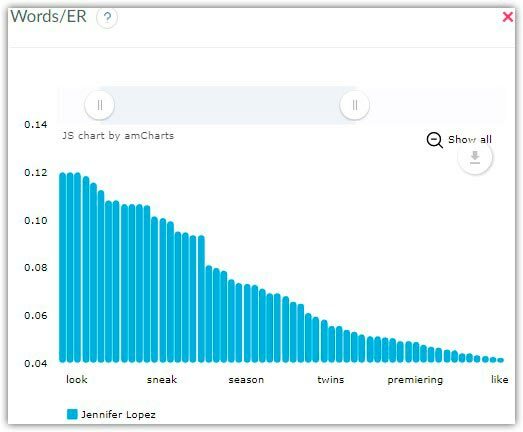 Now you will realize which words are used most frequently (in the “Words” metrics). 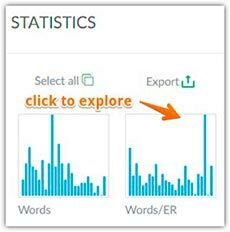 And also you will find the info about the highest Engagement Rate within the publications with desired predefined phrases (Words / ER). To study all this information, just click on the desired schedule. 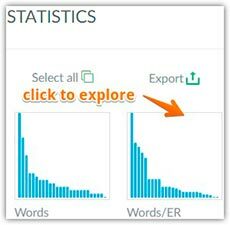 You can also filter out the displayed publications with videos which contain the word by clicking on any word in these graphs. Tap the search line. Find it at the top of the screen. Enter search terms. Usually such information helps find the types of videos you’re looking for. But you have to select search terms carefully to ensure that the posts have satisfied your requests. And one more thing. If you’re searching for videos of a specific person, type in the person’s name into the search line. If for a specific subject – type the subject’s name. Tap “Videos”. Find this tab near the top of the Facebook window. If you do this there will be shown only those publications which include videos. Find the searching line. It must be at the top of your screen. Tap “Videos”. Here you will see all of the person’s videos, which includes in title or description of this name. 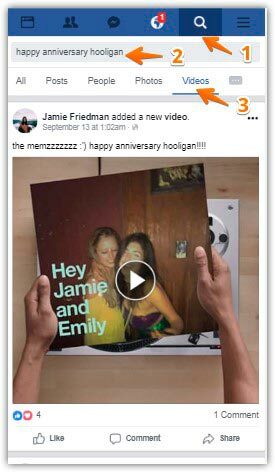 Alternatively, you can go to Facebook with the browser from the phone (desktop version) and you can press “More” – “Video” on the page of the profile. Or just add url address to the user’s profile name. Just like this: “user’s profile url/videos”. We all have to remember and look up to the privacy setting. Thanks to them we can’t see all the publications from time to time J. Find the searching line. I’m sure you’ll find it at the top of your screen. Type in search terms. 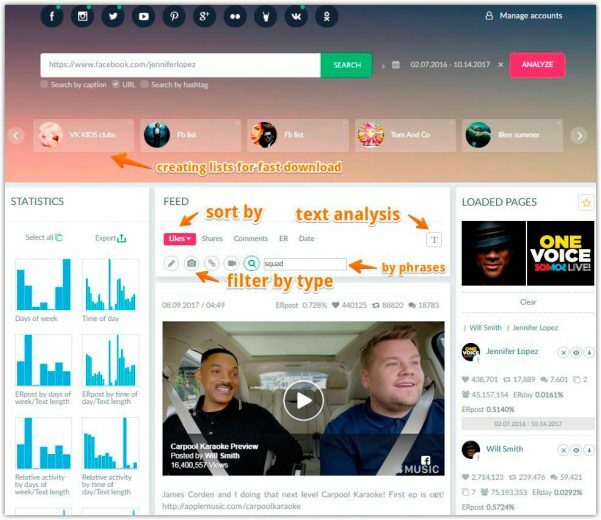 Put here phrases which can help you to find the types of videos you’re looking for. AND If you’re searching for videos of a specific person, type in the person’s name into the search line. Or the subject’s name in case when you are interested in a specific subject. Be careful when select words and phrases for the search to be sure that the publications will satisfy your requests. 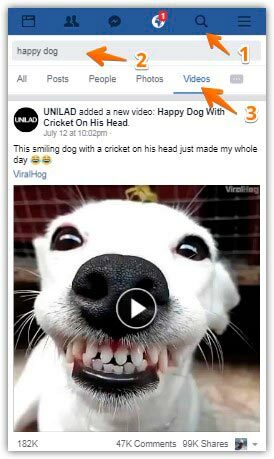 Tap “Videos” tab near the top of the Facebook window. This will display a list of videos based on your search terms, which are visible to you. Remember and look up to the privacy setting. Tap the search bar. It is at the top of the screen. Tap “Videos”. Here you will find all of the person’s videos, which includes in title or description of this name. Sometimes the privacy setting on a video may prevent you from seeing it. Enter search terms. Type any phrases or words that can help to find the videos you’re looking for. If you’re searching for videos of a specific person or a subject, type in the name into the search line. Try to select words and phrases for the search carefully to be sure that the publications will satisfy your requests. Press “Videos” tab near the top of the Facebook window. When you do this there will be shown only publications with videos. Sure the list is based on your search. It is very convenient to use filters given by Facebook. See then at the left side from the list with videos. 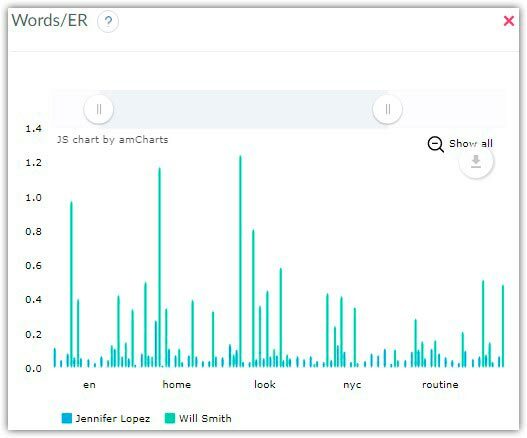 There is the opportunity to filter by source, target location, and dated posted. Type in the name of the person you’re searching for. Use phrases or words which will help to find the needed videos. If you’re searching for videos of a specific person or subject, type in the name into the search line. Click on “Videos”. 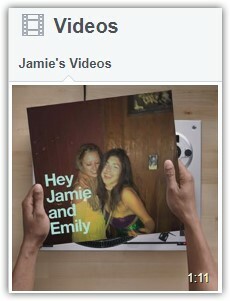 Here you will find all of the person’s videos, which are visible to you. 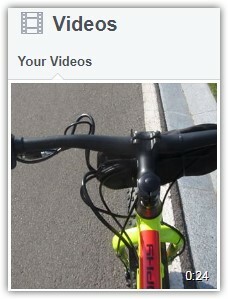 Also, you can go to profile page and press “More” – “Video”. Or just add url address of the user’s profile “user’s profile url /videos”. Quick and easy search the most liked facebook posts. P.S If you liked this article, please share it with your friends on social networks. I’ll be very grateful.